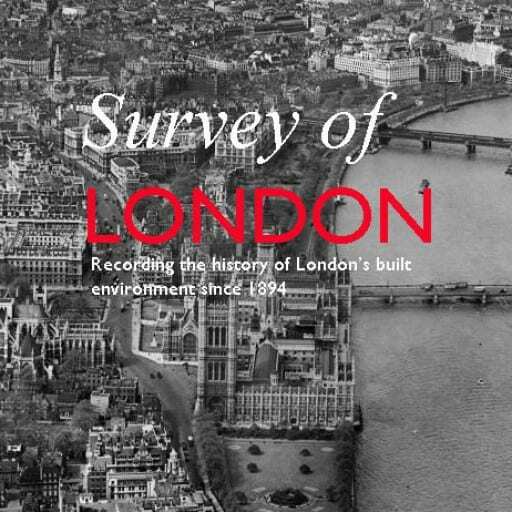 Thank you for taking the time to read the Survey of London’s blog posts over the last year. 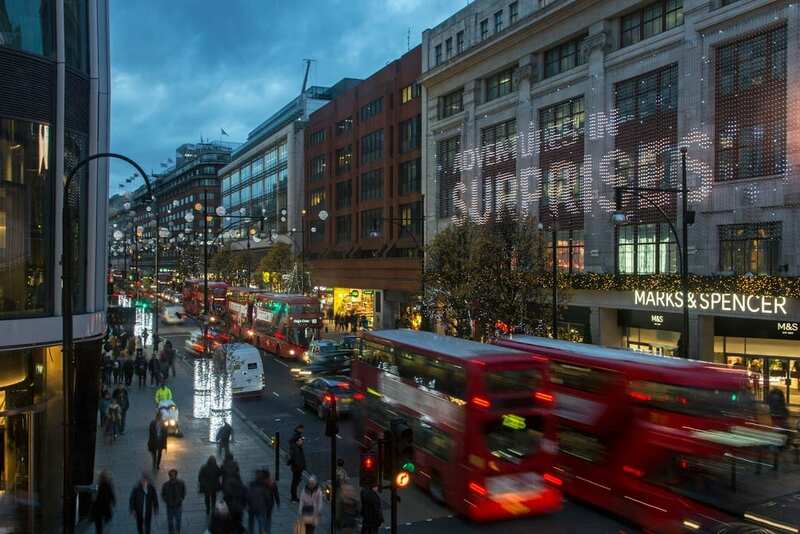 Here follows a selection of our favourite festive photographs from our past and current studies of the capital’s built environment. Happy Christmas and all good wishes for the New Year. 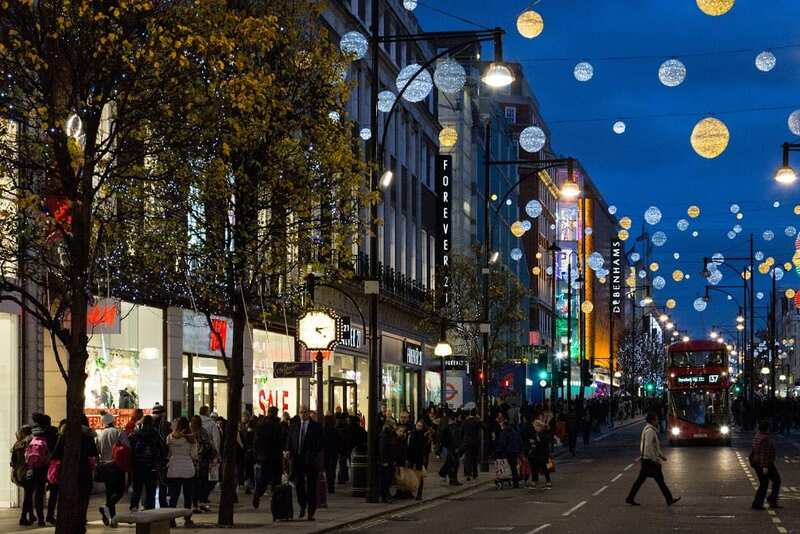 The character of Oxford Street is defined above all by its shops, and Christmas is its busiest time of the year. 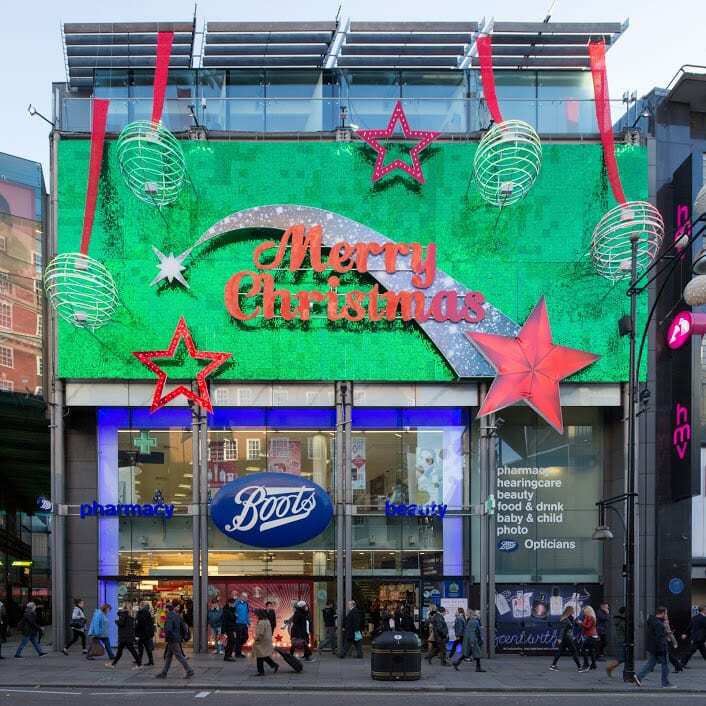 In 2015 we asked Lucy Millson-Watkins to photograph the lights, sights and decorations of Christmas on Oxford Street. 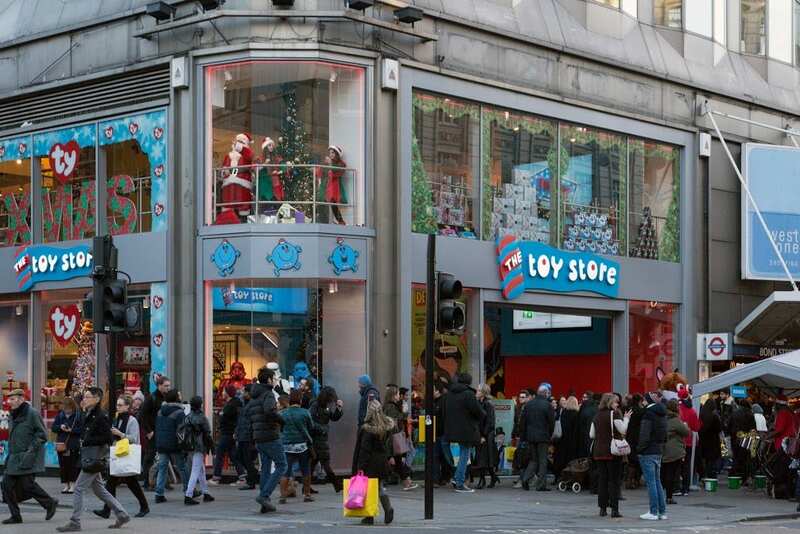 Here is a selection of the photographs that she took, first published online in a blog post which considered the festive season on Oxford Street and its enduring traditions. 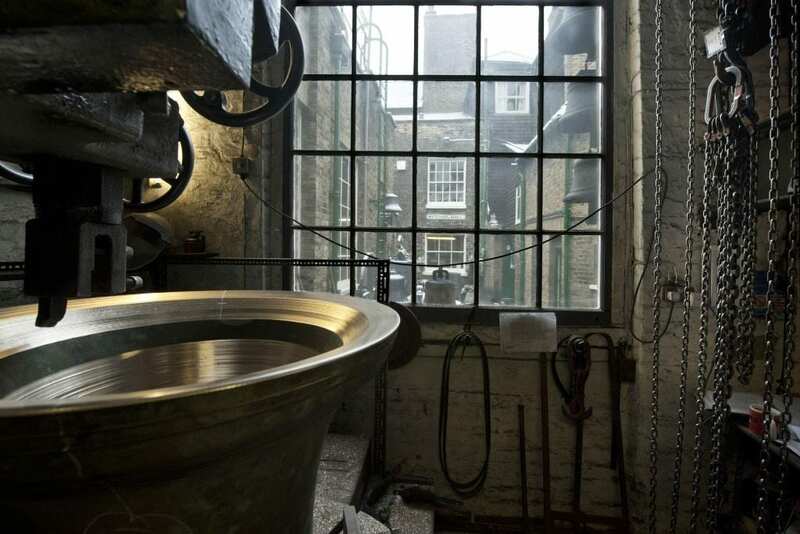 Last December it was announced that the Whitechapel Bell Foundry would close in May 2017, and this year has witnessed its closure and the end of what has been a remarkable story. Business cards claim the bell foundry as ‘Britain’s oldest manufacturing company’ and ‘the world’s most famous bell foundry’ – the first not readily contradicted, the second unverifiable but plausible. 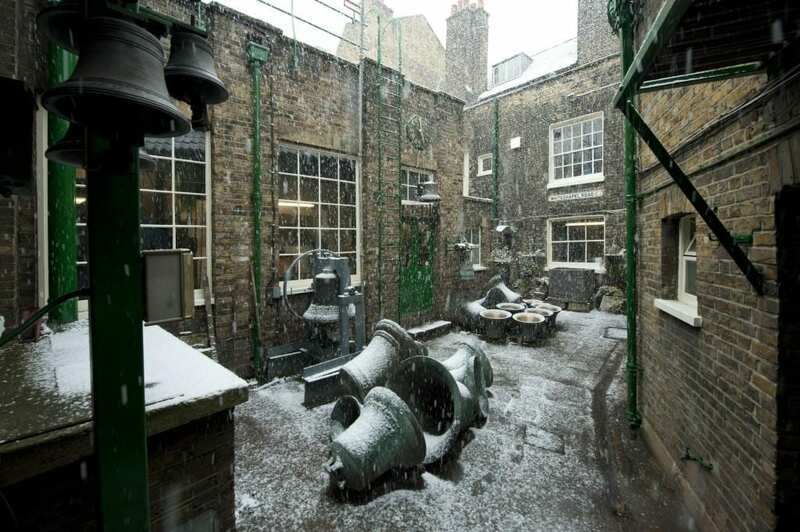 The business, principally the making of church bells, had operated continuously in Whitechapel since at least the 1570s. It had been on its present site with the existing house and office buildings since the mid 1740s. 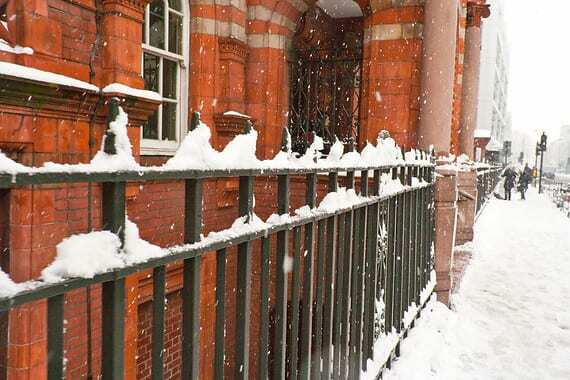 Derek Kendall’s wintry photographs of the bell foundry in 2010 provide an insight into its historic buildings and the preservation of traditional craftsmanship until its closure. 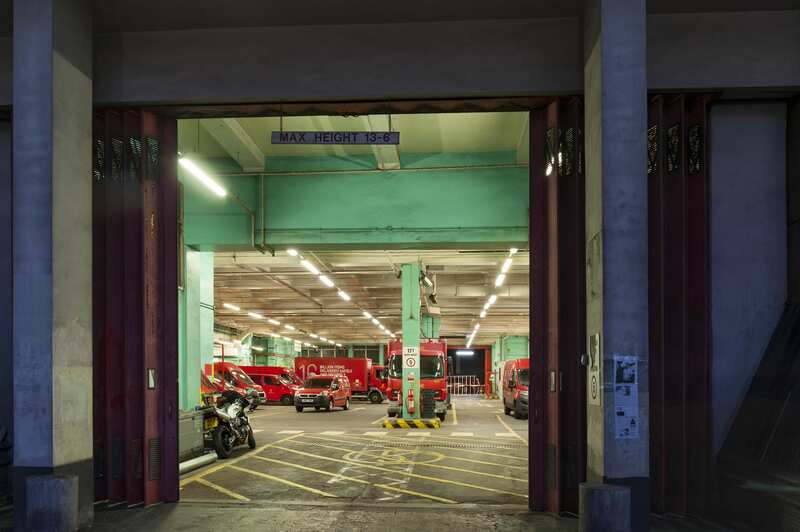 If you would like to read the Survey’s full account, please click here to find the draft text on the Survey’s ‘Histories of Whitechapel’ website. 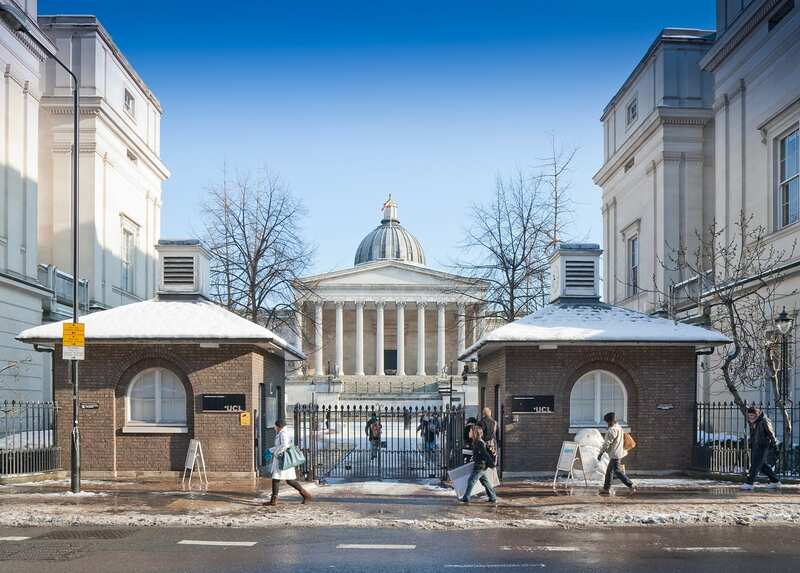 There is a Survey of London monograph on University College London in the offing. 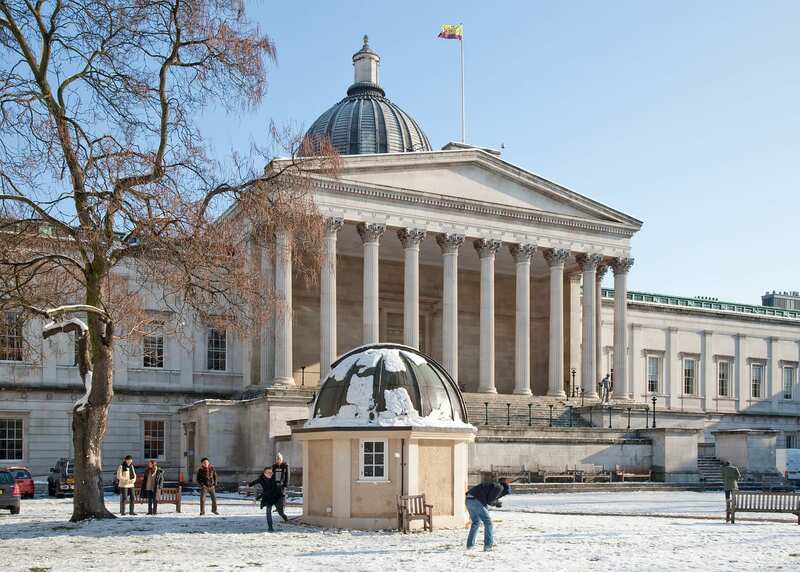 UCL’s first architectural expression was the grand neoclassical building constructed in 1827–9 to designs by William Wilkins, its portico and dome a prominent statement. 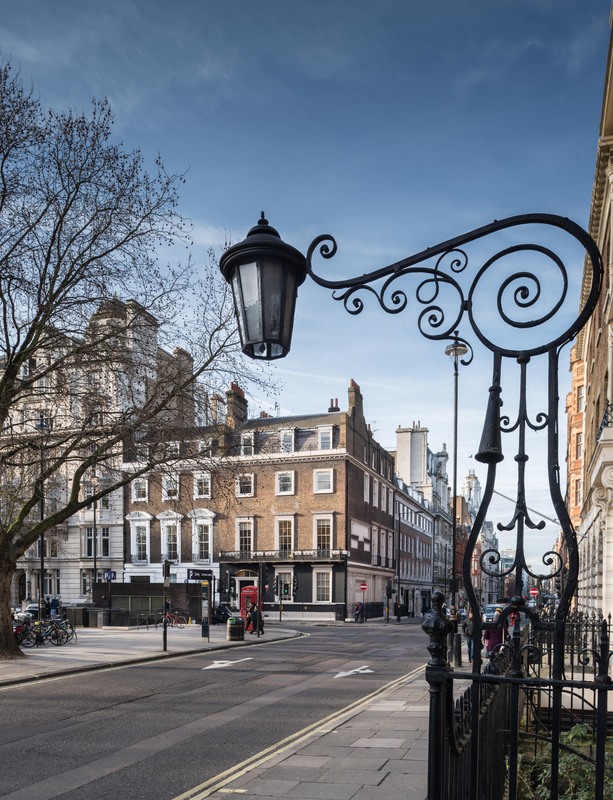 Only the central range of this scheme was completed, yet successive wing extensions have formed a dignified quadrangle in Gower Street. 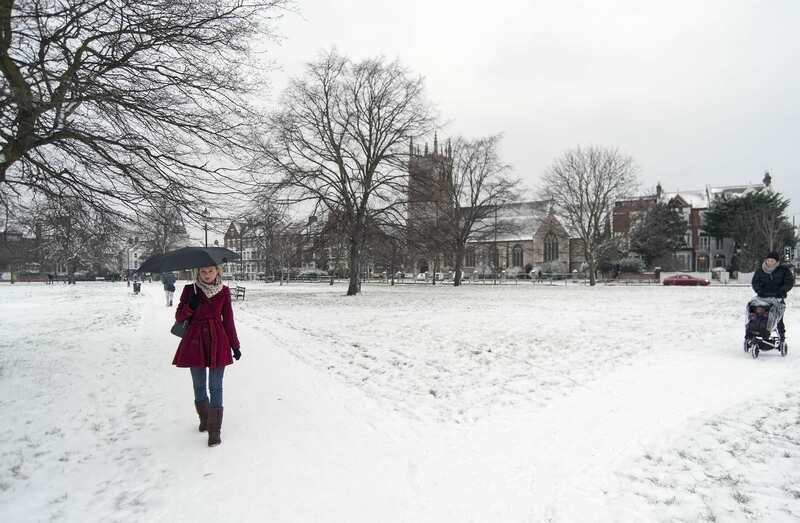 Clapham Common is one of London’s most-prized public spaces, notable for its wide-open character and the clear sense of definition and urbanity imposed by its boundaries. 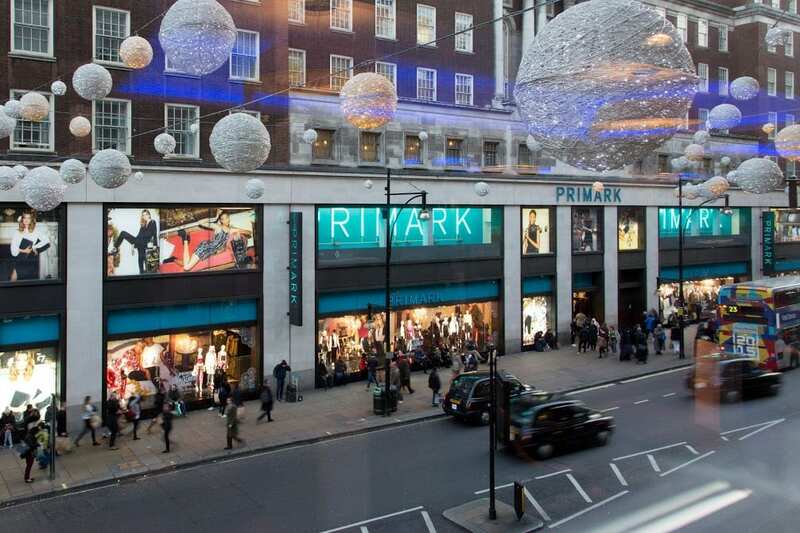 An essentially triangular and uniform area of some 220 acres, it has lost less ground to development than most metropolitan commons. Archery was a popular pastime in the eighteenth century, as were boxing and hopping matches, and occasional fairs which attracted larger gatherings. 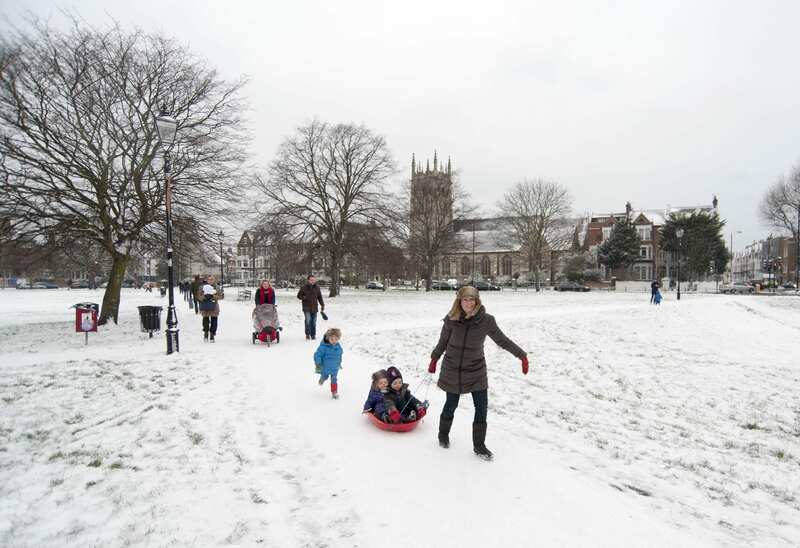 Today the common boasts a mixture of formal and informal planting, tree-lined roads, sports facilities, play areas, and broad open spaces. The ponds and the bandstand (1890) are notable remnants of improvements effected in the nineteenth century, when cricket, football, tennis, golf, horse riding, model yachting and bathing were all enjoyed on the common. 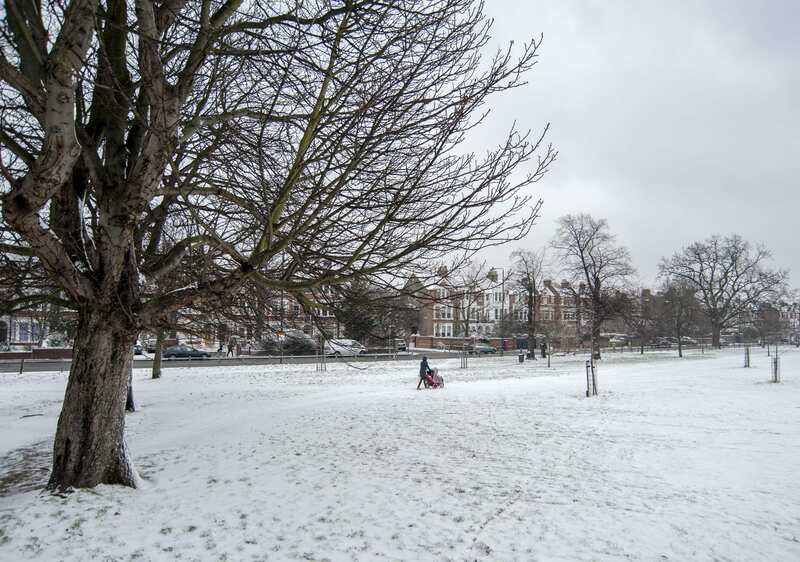 If you would like to read the Survey’s full account of Clapham Common from the Battersea volumes (published in 2013), please click here to download the draft chapter on ‘Parks and Open Spaces’ from our website. 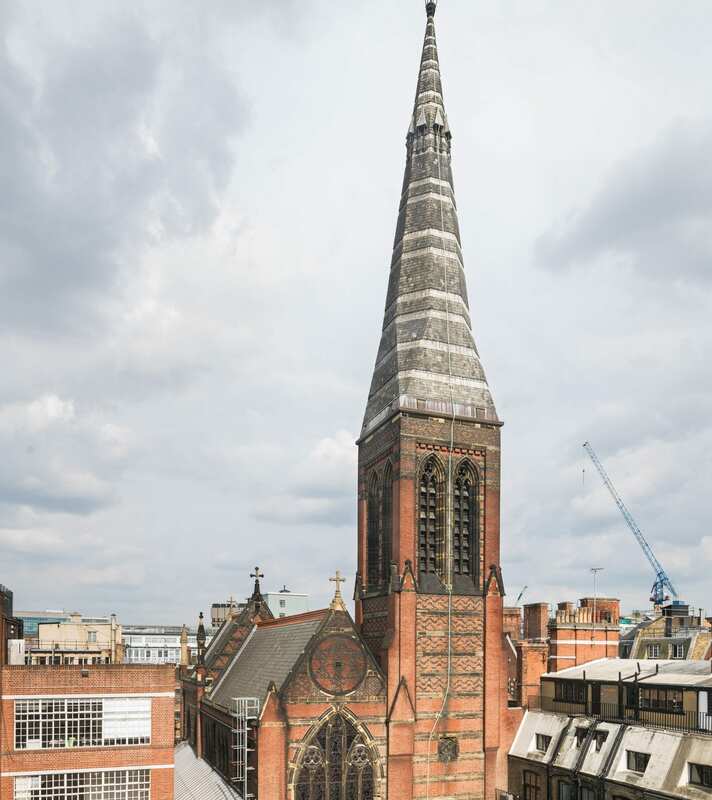 The brick church and lofty spire of All Saints, together with the twin clergy and parish buildings that front it towards Margaret Street, comprise a renowned monument to Victorian religion and architecture. 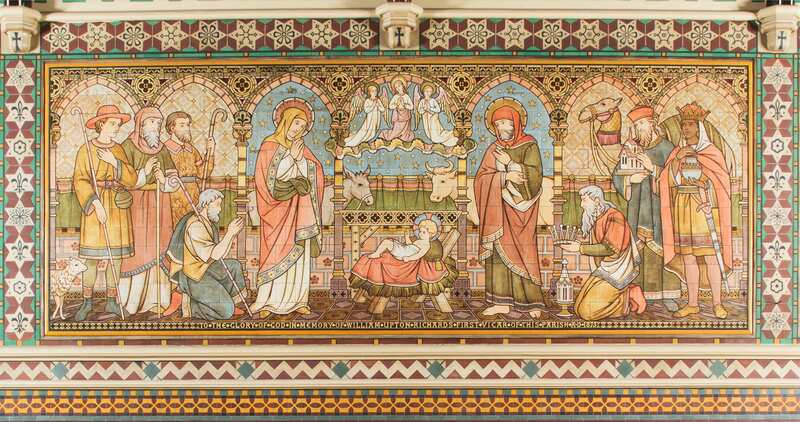 Exuberant and compact, the group was built in 1850–2 by John Kelk to designs by William Butterfield, yet the interior of the church with its painted reredos by William Dyce was not completed and opened till 1859. Butterfield continued to embellish and alter All Saints throughout his lifetime, and it is always regarded as his masterpiece. Among decorative changes to the interior since his death, the foremost were those made by Ninian Comper between 1909 and 1916. 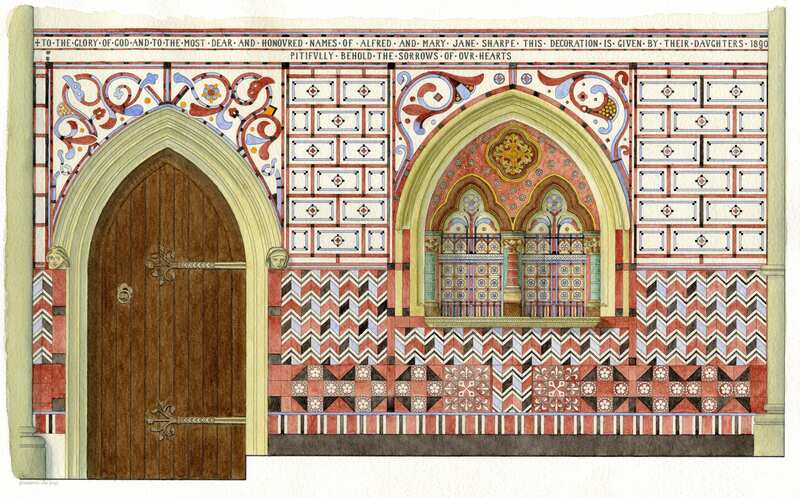 Recent restorations have reinforced Butterfield’s original vision of strength, experimental colour and sublimity. 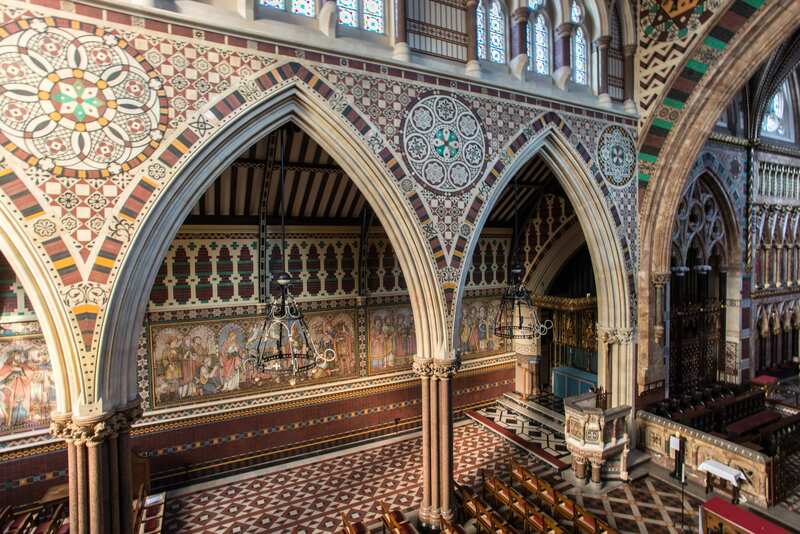 A full account of this astonishing church has been published in the Survey’s volumes on South-East Marylebone, published in 2017. 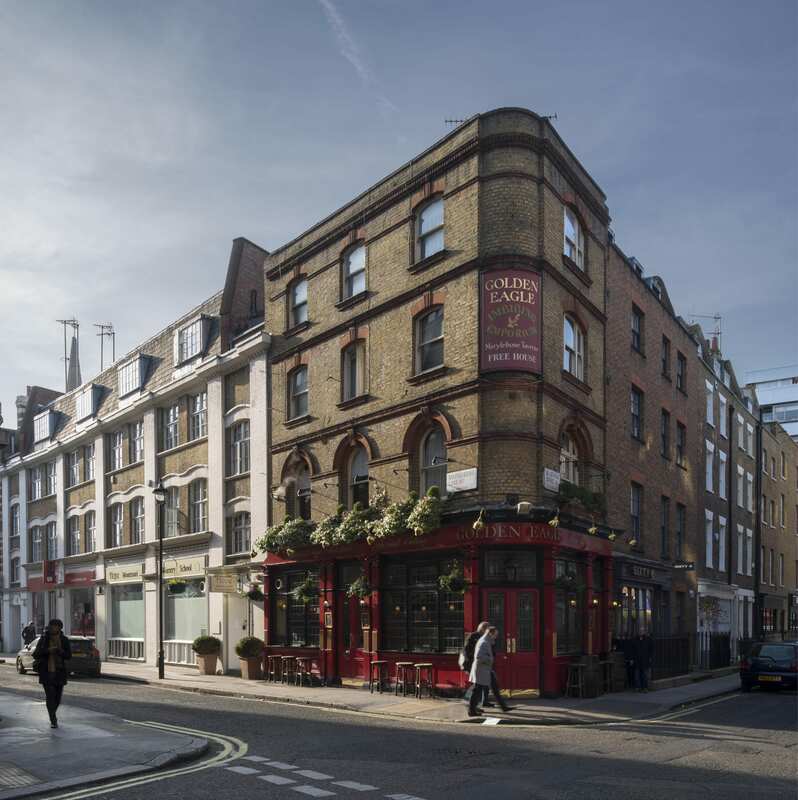 Please click here to read the account of All Saints’ Church in the Survey’s draft chapter on Margaret Street. Social housing has been much in the news lately with the Government’s controversial plans to ‘blitz’ what are considered ‘sink’ estates. 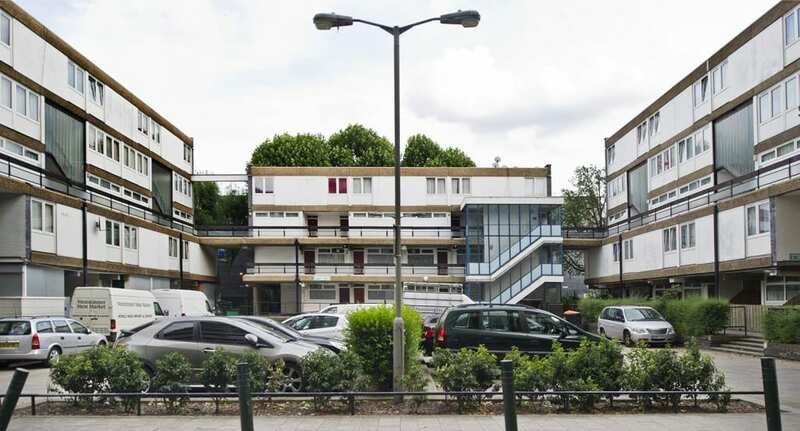 One of those said to be earmarked for redevelopment is the Winstanley Estate, north of Clapham Junction, considered a model of its kind when it went up, mostly in the early to mid-1960s. 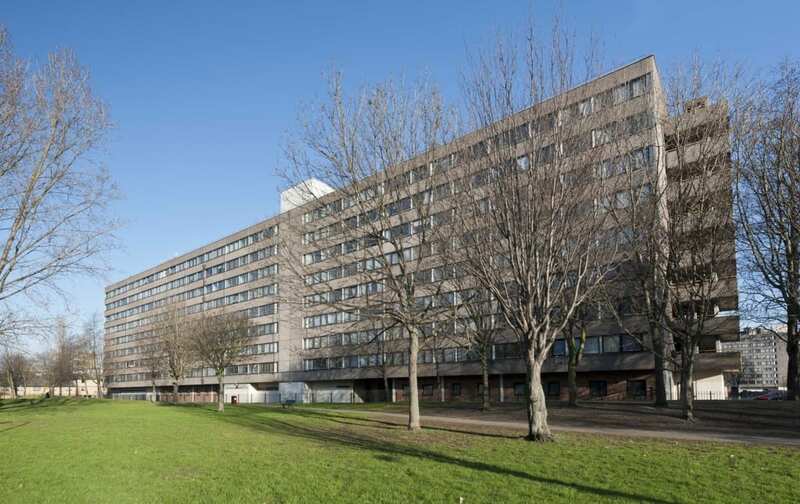 In fact the area involved includes the slightly later York Road Estate which is likely to be entirely rebuilt, following consultation between Wandsworth Council and local residents. 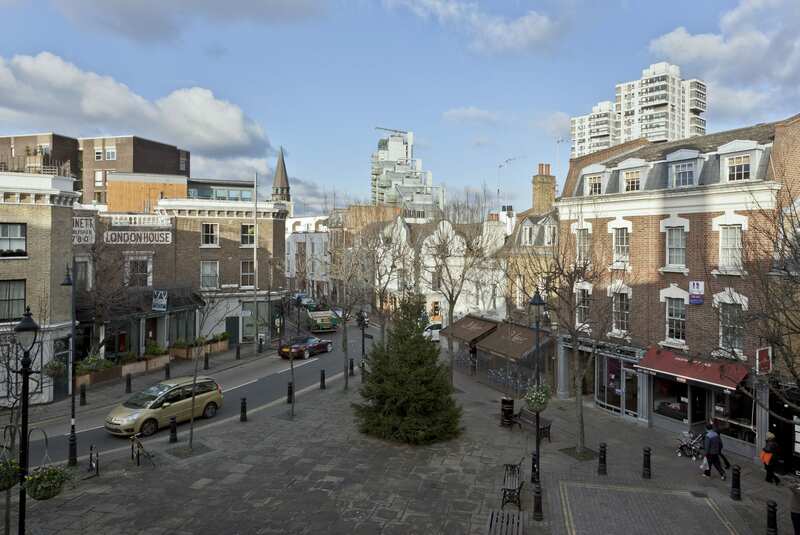 Winstanley Estate, looking north-west from Thomas Baines Road towards Clark Lawrence Court in 2012 (© English Heritage, Chris Redgrave). If you are having trouble viewing images, please click here. 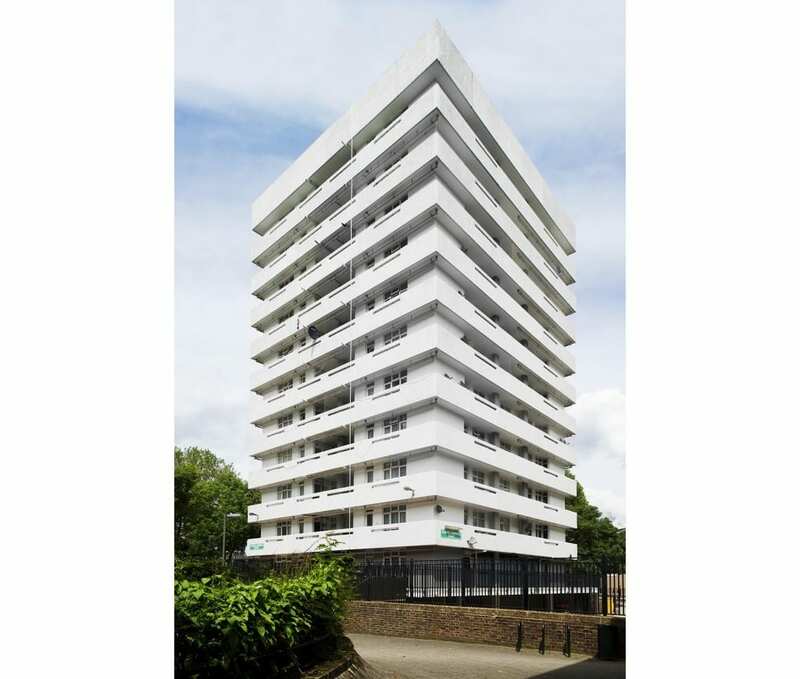 Winstanley Estate, Thomas Baines Road, photographed in 2012 (© English Heritage, James O. Davies). 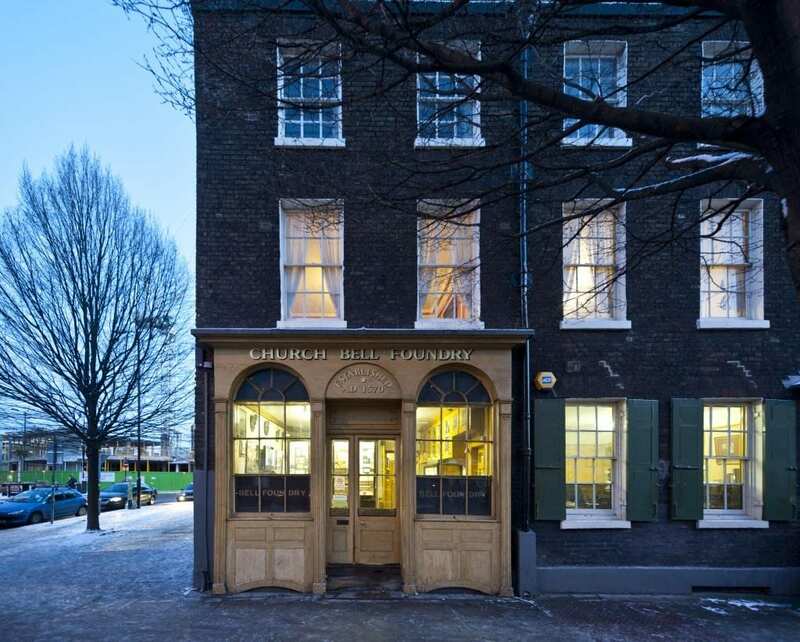 Clark Lawrence Court in the Winstanley Estate, photographed in 2012 (© English Heritage, James O. Davies). 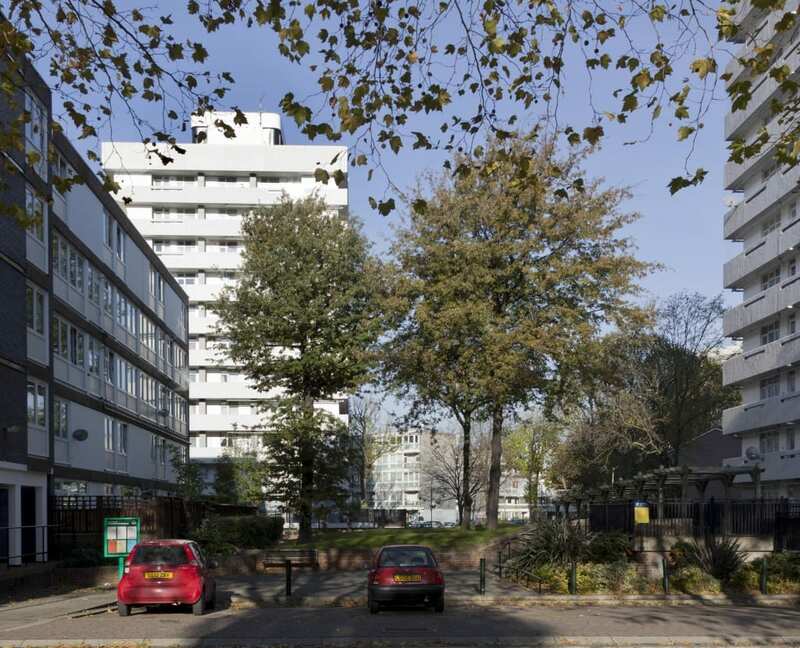 York Gardens and Pennethorne House, York Road Estate Stage 1, photographed in 2011. 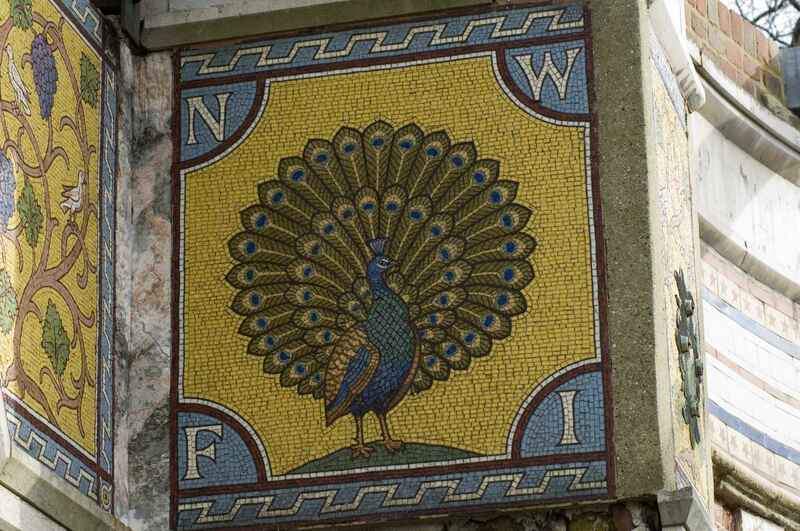 Pennethorne House is one of the blocks that is likely to be demolished (© English Heritage, Nigel Corrie). Though now perhaps best known outside Battersea as the home of garage and hip hop band So Solid Crew, the Winstanley has also provided a filming location for a number of feature films, notably Poor Cow (1967), Ken Loach’s first full-length film as a director, and the Oliver Reed thriller Sitting Target (1972). 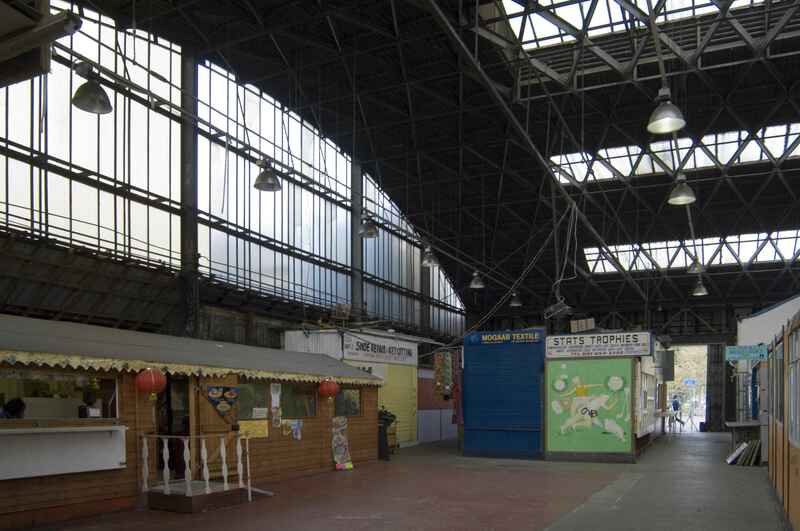 The Survey was involved with the architecture departments at Cambridge and Liverpool in 2012-13 in a research project called Cinematic Geographies of Battersea. 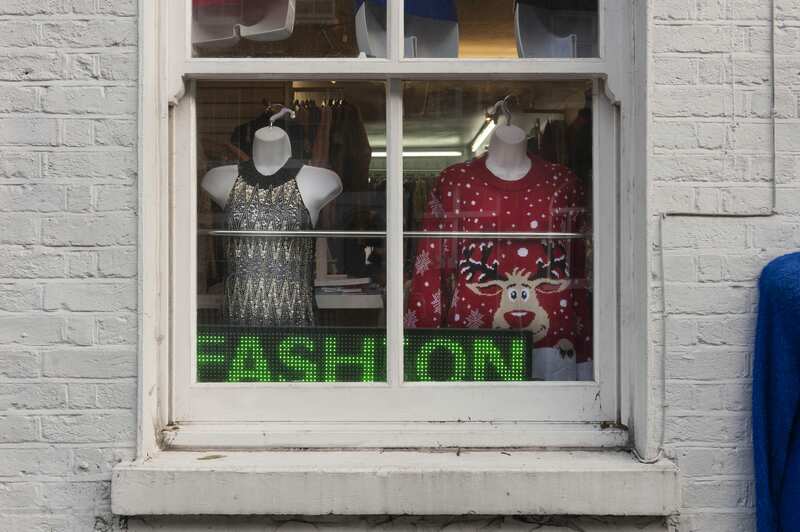 Taking its cue from Jonathan Raban’s 1974 book Soft City, the project explored the different ways that urban histories, such as the Survey, and filmmakers, present the city, whether as the ‘hard city’ found in statistics and maps, or the ‘soft city’ found in the suggestive discontinuities of film. One outcome was a short film about the Winstanley that mixes a voiceover taken from edited Survey of London text about the Winstanley, with archive photos and film clips of the Winstanley, both from newsreel and feature films, to suggest that these hard and soft cities are on a continuum, and not that one is ‘more real’ as Raban suggested, than the other. The Winstanley Plays Itself by Aileen Reid on Vimeo. 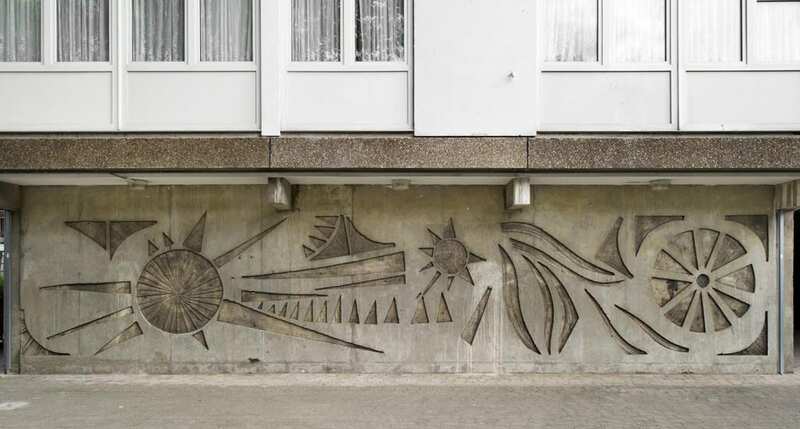 Thomas Baines Road, Winstanley Estate, concrete mural of 1963-5 by William Mitchell & Associates, photographed in 2011 (© English Heritage, James O. Davies).